This year’s Chicago Auto Show has got lots of Toyotas indeed. In addition to TRD-based Sequoia, RAV4, and 4Runner, the Japanese automaker also introduced the refreshed Tacoma mid-size pickup truck. But that’s not everything from the manufacturer. 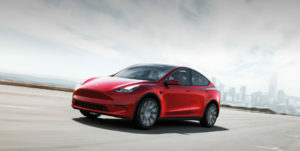 No, they’ve made an anniversary model as well. In case you don’t know, the iconic Land Cruiser SUV celebrates the 60th birthday. Hereof, Toyota introduced a new Heritage Edition model. The special-edition SUV shows several interesting details from the outside. 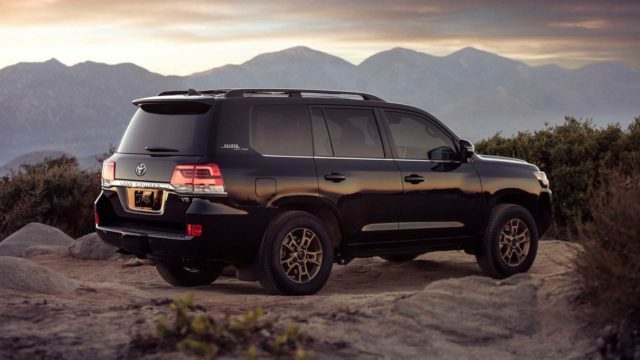 Toyota decided to offer two exterior paints for the model: Midnight Black Metallic or Blizzard Pearl. The nameplate features quite interesting vintage-style, while the grille gets black accents. The headlights sport darkened housing and for lamps have been surrounded with dark chrome. 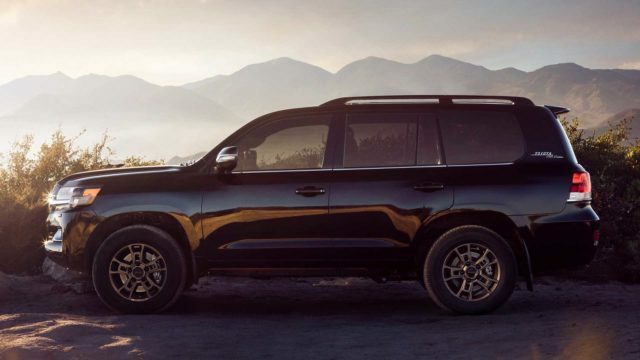 With new bronze 18-inch BBS wheels and without side steps, the 2020 Toyota Land Cruiser Heritage Edition looks somehow additional sleeker. However, it’s important to say that the exterior gets cosmetic changes only. 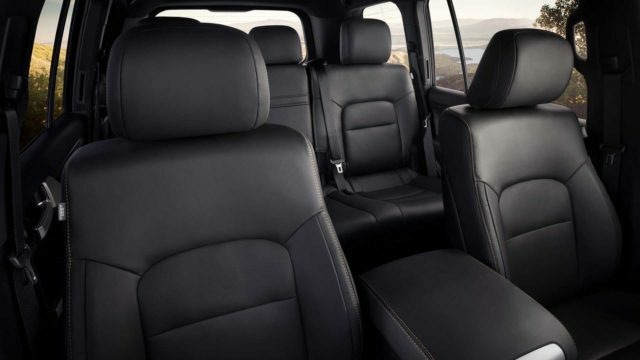 Inside of the limited SUV, you will find just two rows of seating. 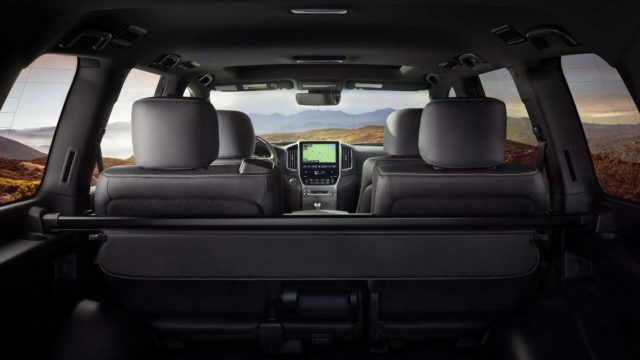 You may not find enough seats for seven passengers, but again, the Heritage Edition model provides an impressive cargo room. The high-riding vehicle gets a 9-inch touchscreen with navigation and a 14-speaker stereo system. Black leather wraps around the entire cabin. 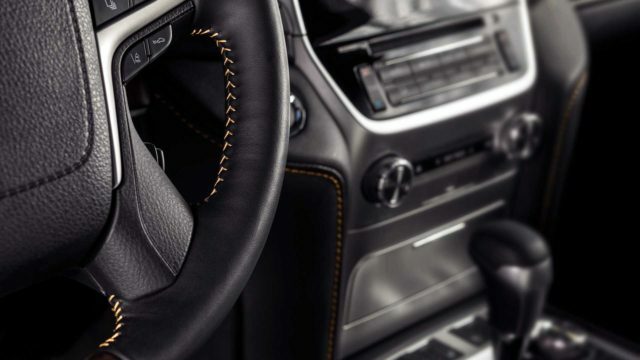 Though, everything looks far more interesting thanks to bronze contrast stitching that’s not only available on seats and steering wheel, but also on door trim and across center stack and console. At last, the model gets all-weather floor mats and a cargo liner. There will be no surprises beneath the hood. 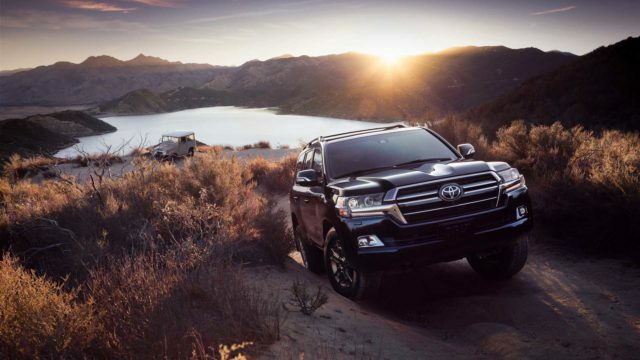 No, just like every other Land Cruiser, the 2020 Toyota Land Cruiser Heritage Edition will be paired with the familiar 5.7-liter V8, eight-speed automatic transmission and four-wheel drive system with a 2-speed transfer case and a limited-slip rear differential. 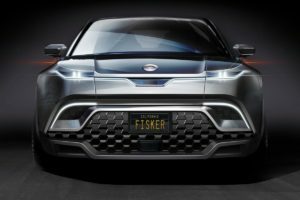 The engine will deliver 381 horsepower and 401 pound-feet of torque. 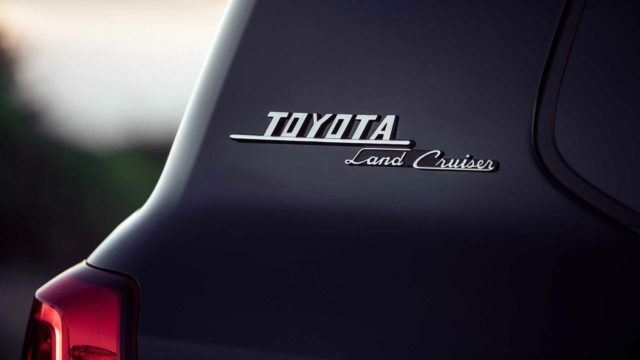 Toyota hasn’t released any pricing information so far, but they’ve said that there will be 1,200 pieces in showrooms. The amazing off-road SUV will become available this summer.